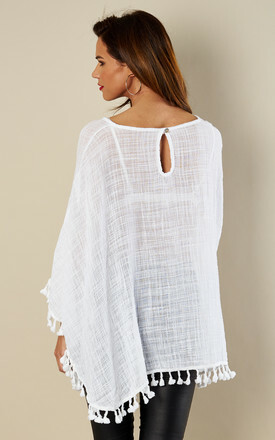 Check out this white linen kaftan. Easy to throw over a pair of jeans and heels when meeting friends for cocktails or wear over a bikini while on holiday in the sunshine - It's your choice. Check out it's twin in black and khaki!